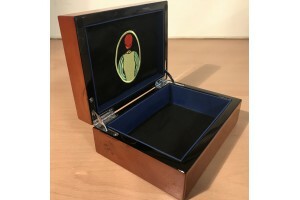 Beautifully proportioned in laquered silver plate and decorated in golden enamel. The round plaque o.. 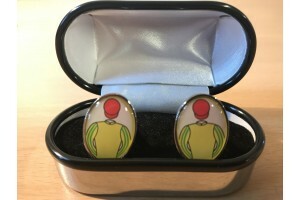 Luxury trinket box, with your colours embroidered on the inside of the lid and initials engraved on ..
From £70.00 for a single pair of made to order cufflinks using racing colours of your choice. 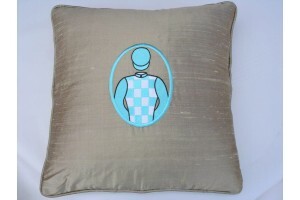 They m..
Each cushion is handmade from 100% Dupion silk, with a feather filling. 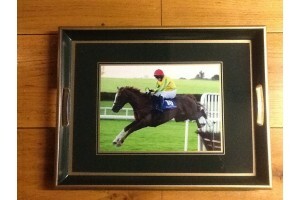 (If you require a synthetic ..
As with the large ones these smaller trays can carry any image you like – your racing colours embroi.. 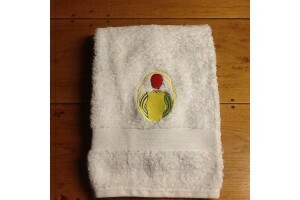 Framed colours make an ideal present for any race horse owner.The racing colours are embroidered ont..
Our luxury bath towels are 100% cotton. 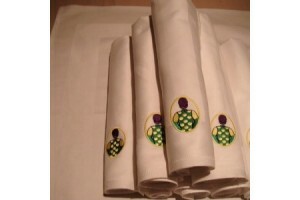 They are individually embroidered with your chose.. 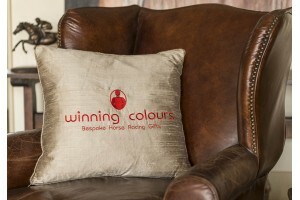 This delightful addition for the office or home has the racing colours embroidered on the front and .. Gentleman's silk ties are hand made with your chosen colours embroidered on the widest end. 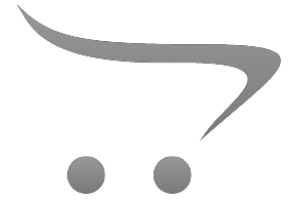 We carry.. 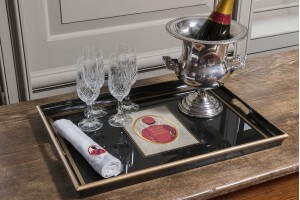 These fine quality trays are ideal as a special present and can carry any image you like – your raci..
Classic, white linen napkins to grace any dining table, Royal Ascot picnic, grandstand box or ..
Indulge yourself in the total luxury of our sumptuous towelling bath robe. 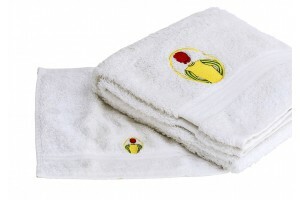 The robe has a shawl coll..
100% cotton hand towels are a addition to any discerning cloakroom. 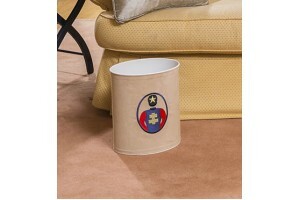 Professionally embroidered ..
Our exclusive footstools are made on a strong wooden frame with solid turned legs. 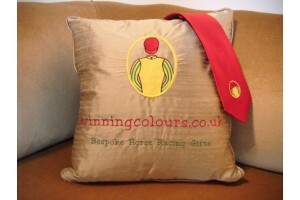 Made ..
We provide bespoke gifts, personalised with the racing colours of your choice. We are able to trace colours from home or abroad if you are unsure of the exact format, and colours that may no longer be registered.